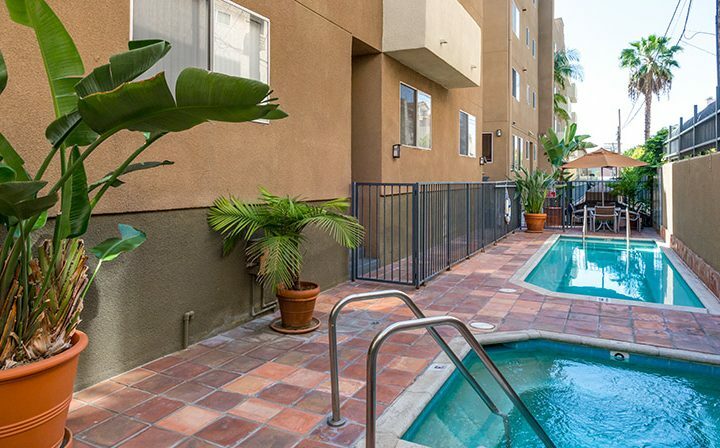 Looking for a fantastic apartment in one of L.A.’s most walkable neighborhoods? 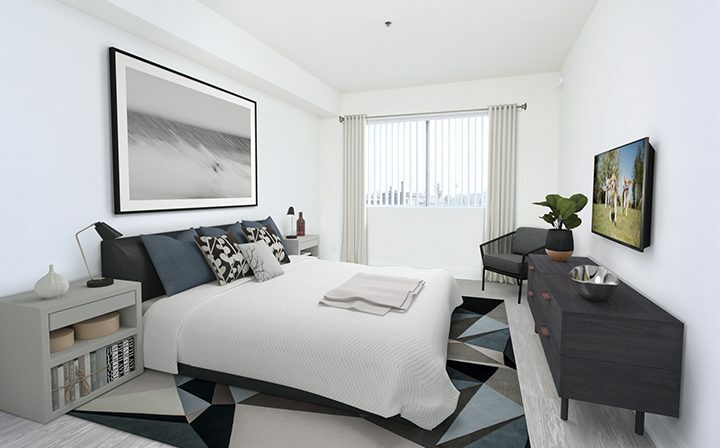 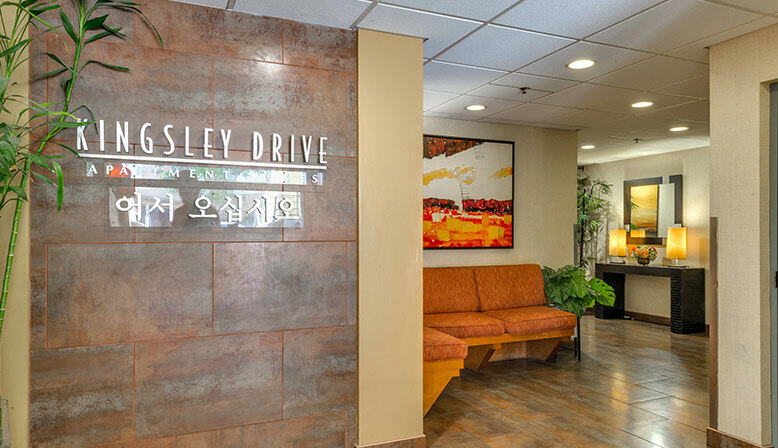 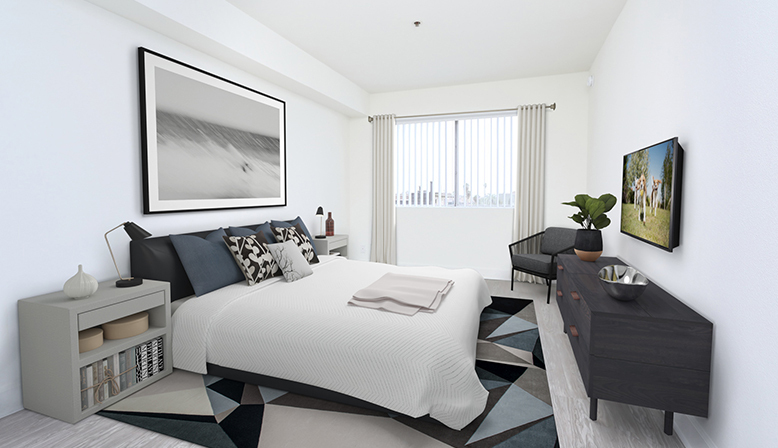 Welcome to Kingsley Drive, where you’ll find beautiful 1 and 2 bedroom Koreatown apartments at the heart of the area. 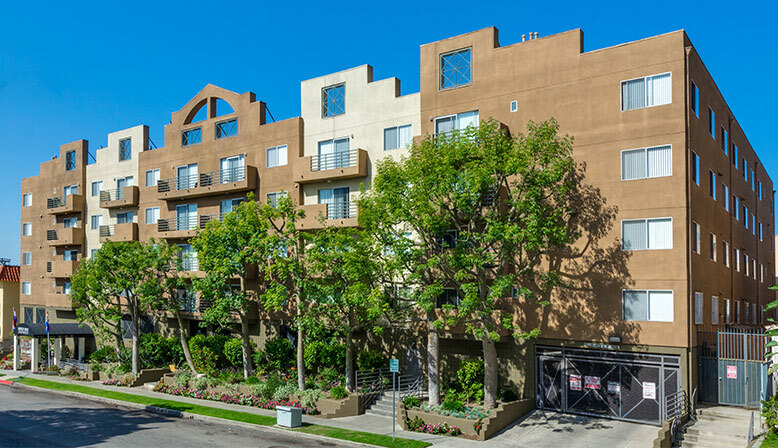 Thanks to its incredible walkscore of 91, Koreatown is one of the rare Los Angeles neighborhoods where you don’t actually need a car to get out and see and do so much of what the area offers, which makes living at the Kingsley Drive apartment community a walker’s dream. 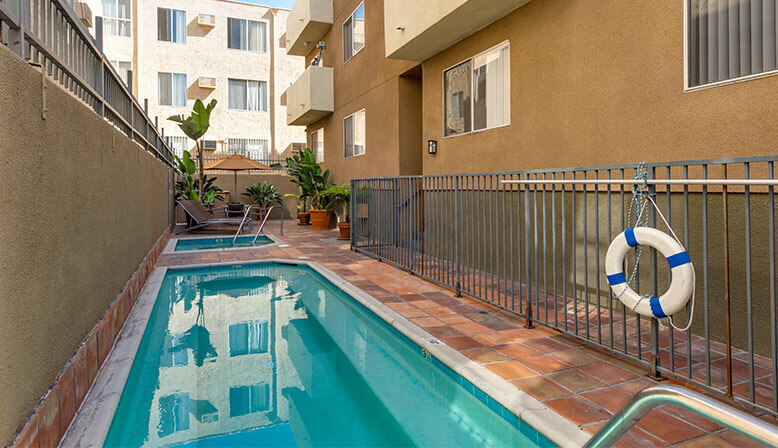 With a great central location in Los Angeles, it’s also close to some of the city’s best public transportation options, like the Red and Purple lines of L.A.’s Metro Rail, which offer convenient access to the rest of the city – again, all without a car. 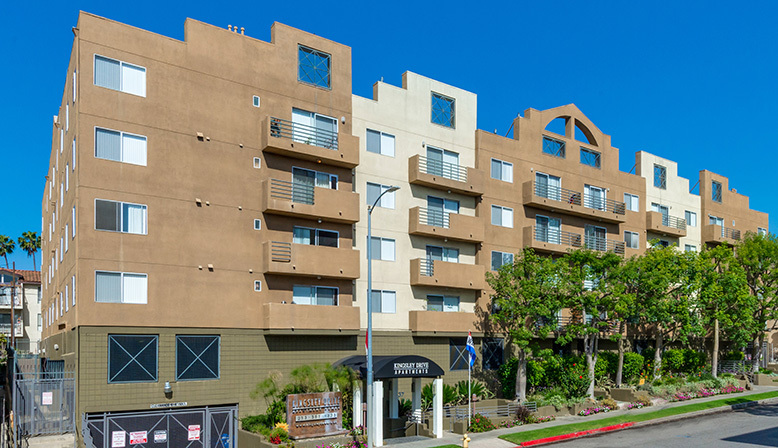 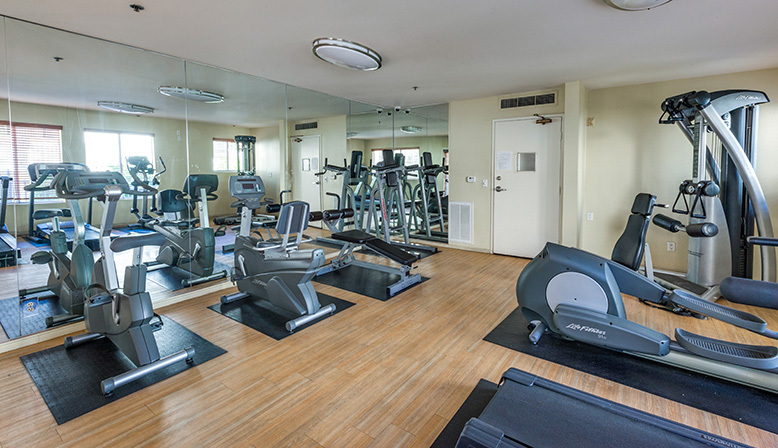 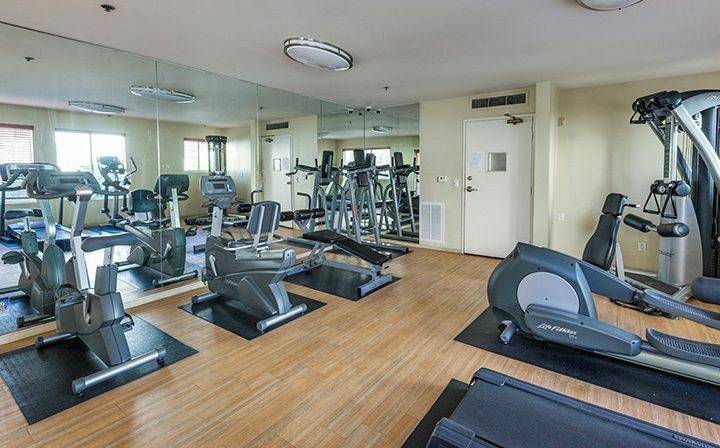 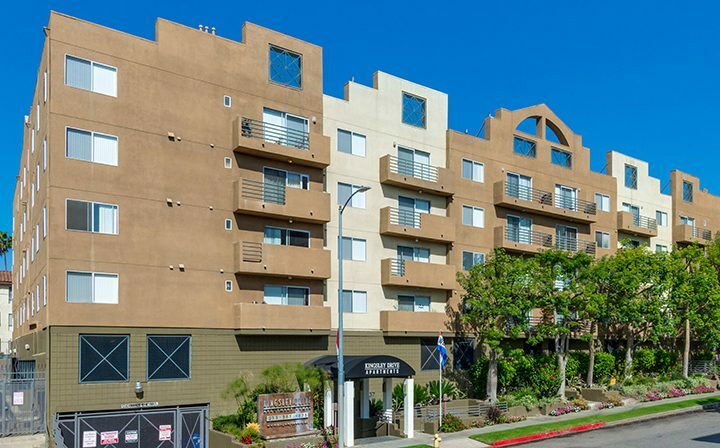 Close to Kingsley Drive’s 1 and 2 bedroom Koreatown apartments, you’ll find an incredible surrounding area near some of the neighborhood’s best attractions, with the bustling Wilshire Drive just two blocks north. 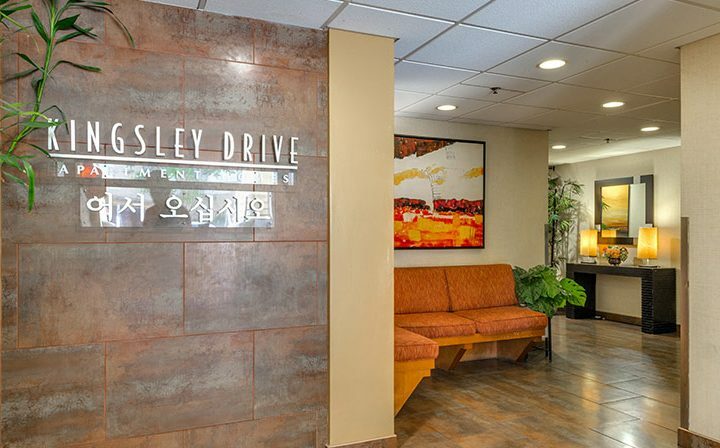 Don’t want to go far from the apartment for some incredible traditional Korean cuisine? Try the delicious all-you-can-eat Korean BBQ at Oo-Kook, right around the corner. 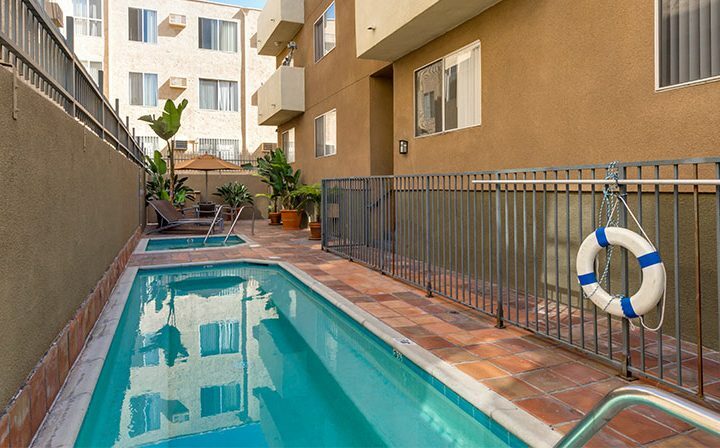 Meanwhile, avid shoppers will be thrilled to find the Koreatown Plaza just a few blocks down the street, which hosts a colorful variety of unique Korean shops and eateries, as well as cutting-edge European fashion at Cambridge London. 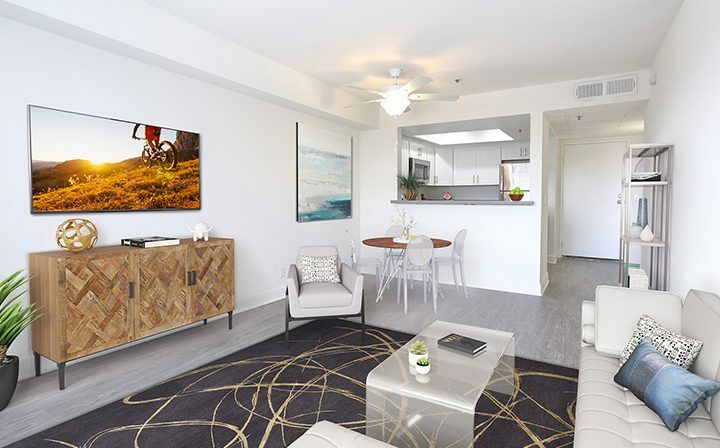 Called “L.A.’s Coolest Neighborhood” by GQ, you’ll love living in K-Town – and we can’t wait to show you our 1 and 2 bedroom Koreatown apartments. 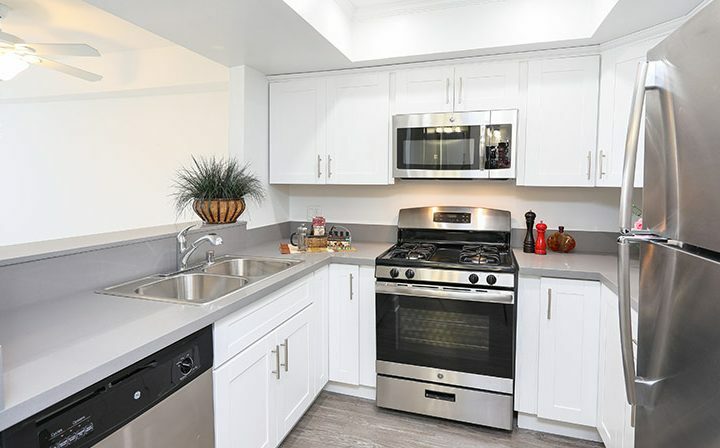 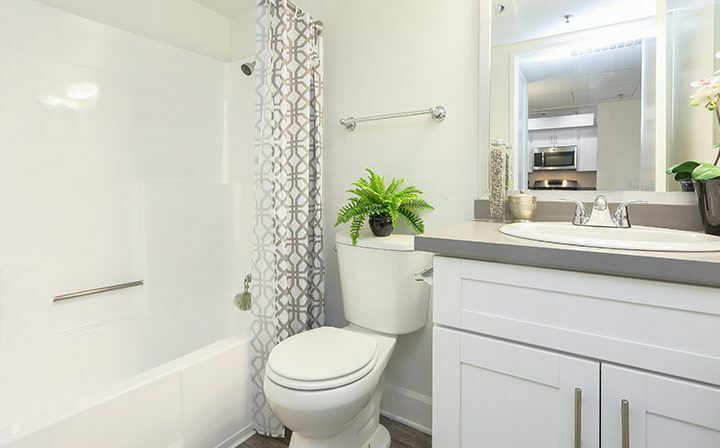 Discover a unique variety of floor plans to choose from, with 2 bedroom units of up to 990 square feet, and upgraded units that include granite countertops, tile flooring, updated fixtures, and stainless steel appliances. 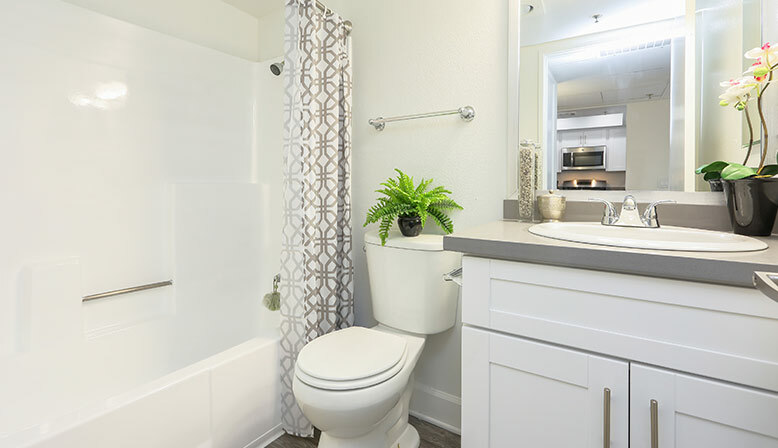 On the community grounds you’ll find great shared amenities, like a beautiful pool, sauna, state-of-the-art fitness center, laundry facility, and even a putting green for the golfers out there. 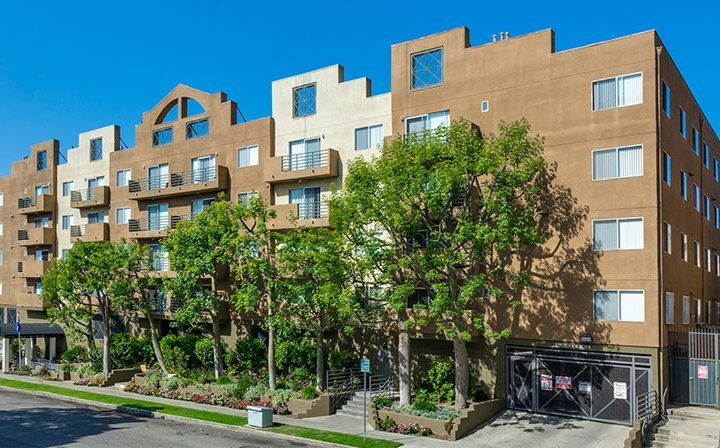 Want to tour this fantastic apartment community and the neighborhood yourself? 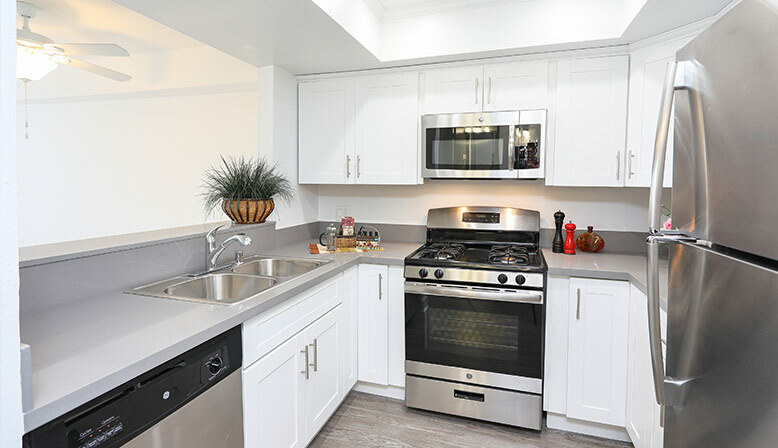 Give us a call at (844) 739-6947 or schedule a tour – we’d love to show you around!